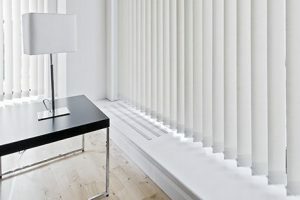 Are you looking for gorgeous blind options? 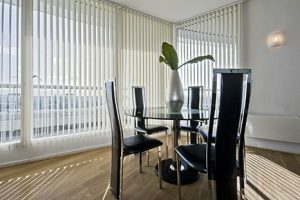 Why not choose from the range of vertical blinds provided by Pippas Blinds Ltd. We provide customised vertical blinds for properties across Northampton. Whether you prefer a neutral colour or a bright tone for your blinds, contact Pippas Blinds Ltd. We provide gorgeous and elegant vertical tiles that are a mix of the traditional and the modern. With our vertical blinds, you can filter the light into your home. Our blinds protect the furniture from direct sunlight. When pulled back they can also provide a clear view of your garden or lawn. Get in touch with us to discuss your requirements. If you want your blinds to provide flexible control over light and privacy, get vertical blinds installed by the local specialists in Northamptonshire, Pippas Blinds Ltd. We can provide customised solutions to fulfil all your requirements. We provide a range of colours and styles to suit any home or office environment. Our styles can have a significant effect on the appearance of your room.